Telecoms giant Orange, part-owned by the French government, is ready to cut ties with Tel-Aviv, said CEO Stephane Richard, as it is severely criticized in France and Egypt for providing services in areas acknowledged by UN as occupied by Israel. However, Richard said he wanted to avoid legal risks for the company and not expose Orange to possible penalties. Orange doesn’t provide services in Israel directly, working in an affiliate agreement with an Israeli company, Partner, one of Israel’s largest cell phone operators. In May, the well-respected French aid organisation Catholic Committee against Hunger and for Development accused Partner of building more than 100 telecommunication antennas on confiscated Palestinian lands and setting up four shops in Israeli settlements. Orange was subsequently criticized for ignoring the French Foreign Ministry’s guidelines on investing in Israel. 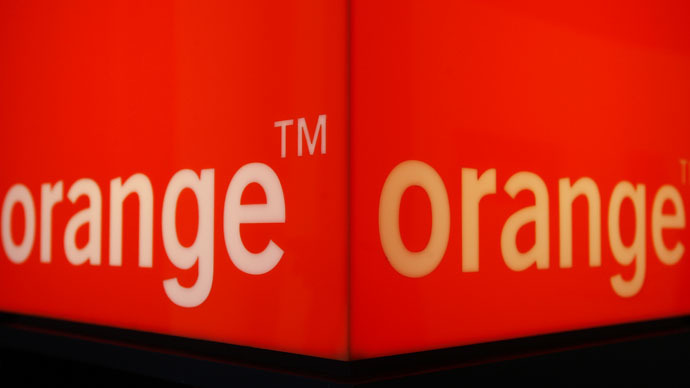 Orange, in which the French government has a 25 percent stake, has faced persistent calls to cancel its contract with Partner in France and Egypt since then. According to Richard, the history of Partner using the Orange brand goes back to the 1990s, when France Telecom bought Orange and the affiliate contract was inherited by the company after the acquisition. The benefits from working with Partner are low, considering the size of Orange’s business, Richard said. Richard’s comments prompted angry reaction from Israeli telecom executives and government officials. The only connection between Partner and France Telecom is the brand name, the company is owned by Saban Capital Group, not by France Telecom or Orange, said Partner. “I am confident that these reports do not reflect the intent of your company. I therefore urge you to clarify the matter as soon as possible,” said Israel’s deputy foreign minister, Tzipi Hotovely, demanding an explanation from Orange. The territories in question have been occupied by Israel since the 1967 Six-Day War, a clash between Israel and several Arabic states. UN Resolution 242 (1967) demands the withdrawal of Israeli armed forces from the territories occupied in the conflict. Israel disagrees with the wording of the resolution, saying that the territories are disputable.